Listicles are one of the most talked about devices on the web. Yes, they bring simplicity and order to stories. Yet on the other hand, marketers have hijacked them to use our natural love of lists to lure us into their sites. Regardless, of where you stand, I decided on sharing some of my lists here with you all. 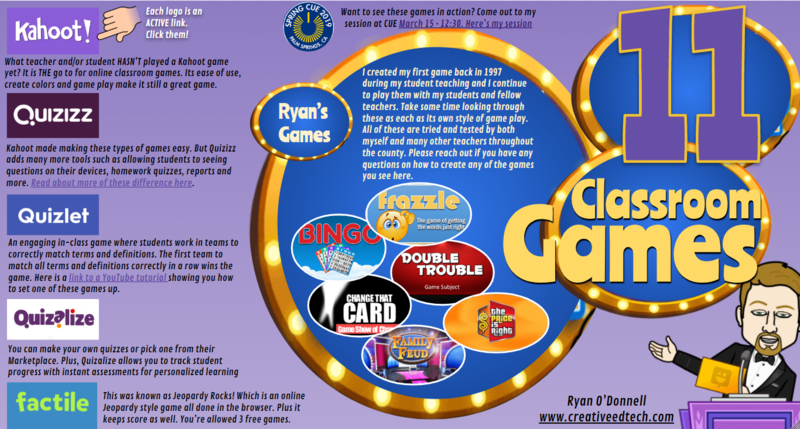 I've made each of these a hyperlinked document which will take you to different links. 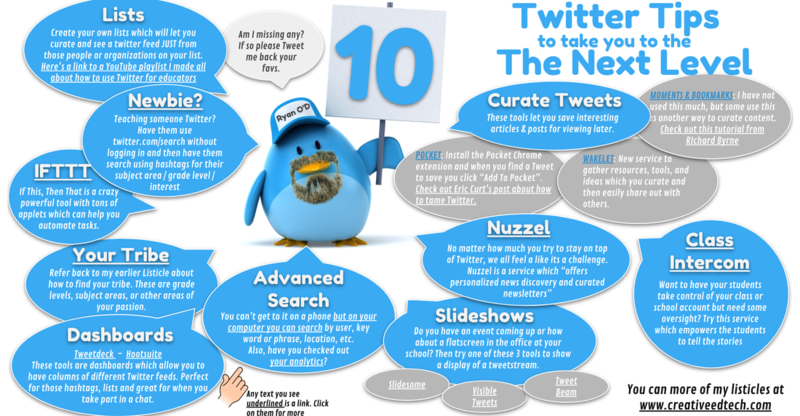 Lastly, if you have any site which you feel I should include on any of these lists, pass share them my way! So many of us have used Jeopardy and other games for years. Recently there has been an influx of new tools at our disposal. This listicle has some of these as well as some of my favorite home made games I've created over the years. 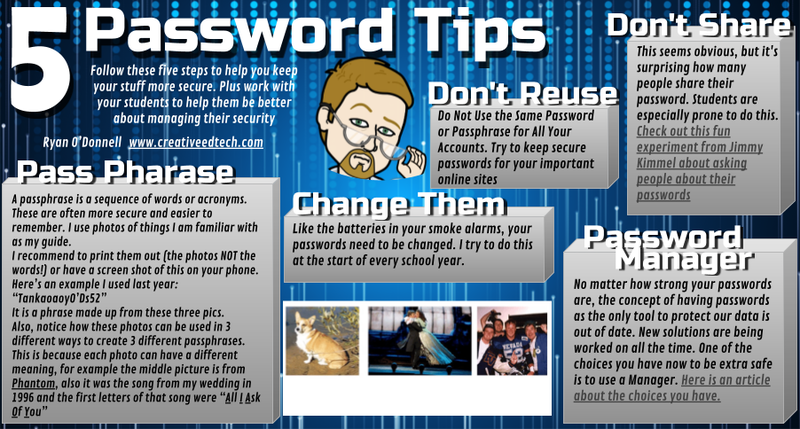 I guess you all are like the rest of planet when asked "do you keep a strong password and change it often". The answer usually is a bit of a groan, since all of us (myself included) could do better. These tips are could help all of us but try talking with your students about these, in particular. Create a passphrase instead and don't share this with other. 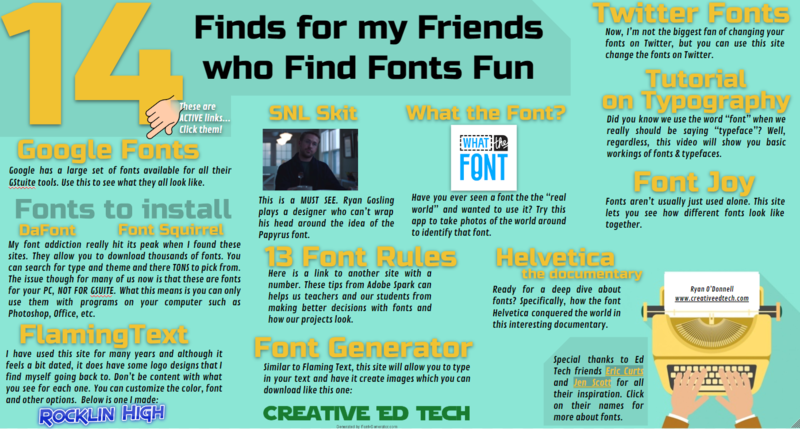 Fonts and typeface do more than just make a document look interesting. Fonts Matter. and... there is actually a book titled that: Fonts Matter by Sarah Hyndman. (I should count this as another number for my list). The help change the meaning of the words and help your viewer connect with the message. Check out this list of finds to help you connect with some fonts. 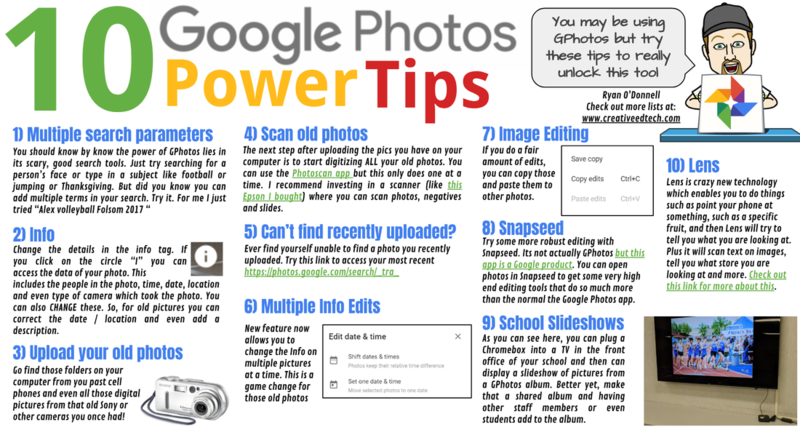 Google Photos has been one of the most powerful and revolutionary tools to come along in awhile. I am all in Google Photos... I have just over 67,000 photos. Check out these tips to help you really make the most out of it. Whenever we are needing to design something, be it a slideshow, newsletter, etc. we often don't know where to start. I say "start with a color scheme, and then go from there". 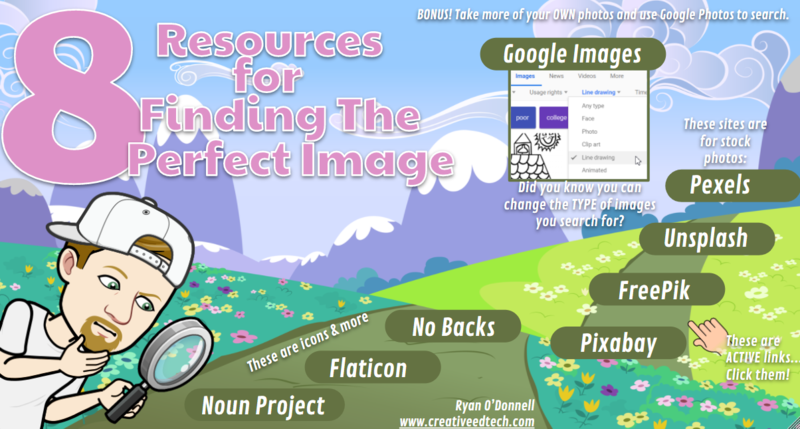 But since most of us don't have a graphic design background, we may need a little help. 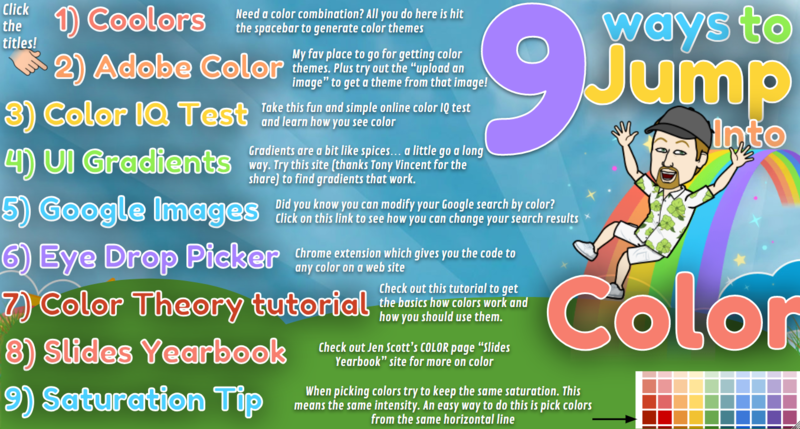 This listicle should get you going about thinking about the colors in your next project. Here is the link to this listicle. 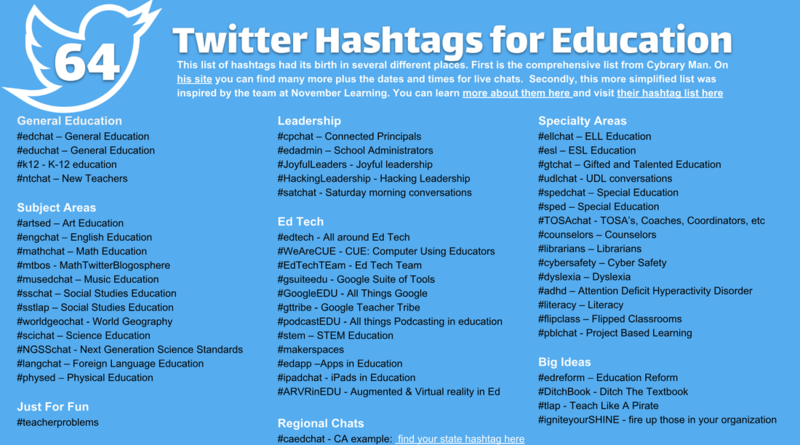 Using Twitter alone can help you grow tremendously as an educator. 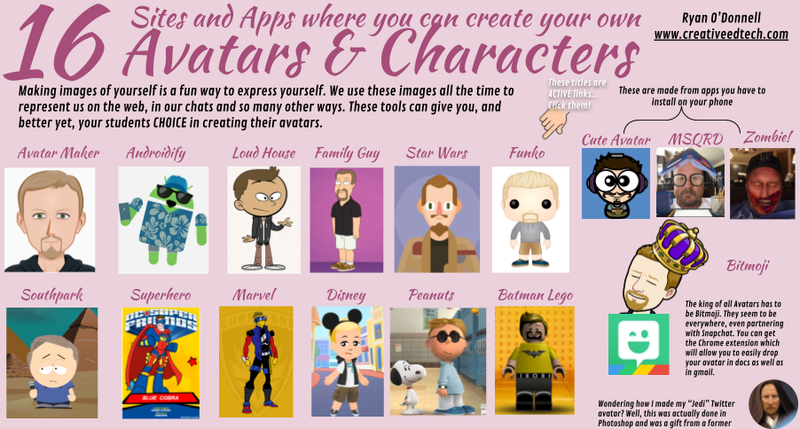 But there are so many other tools and work-arounds to really make your experience incredible. Here is the link to this listicle. And speaking of Avatars, you should give this article a read : "Make me cute: Why we're obsessed with adorable cartoon avatars"
Movies have always been a big part of my life. 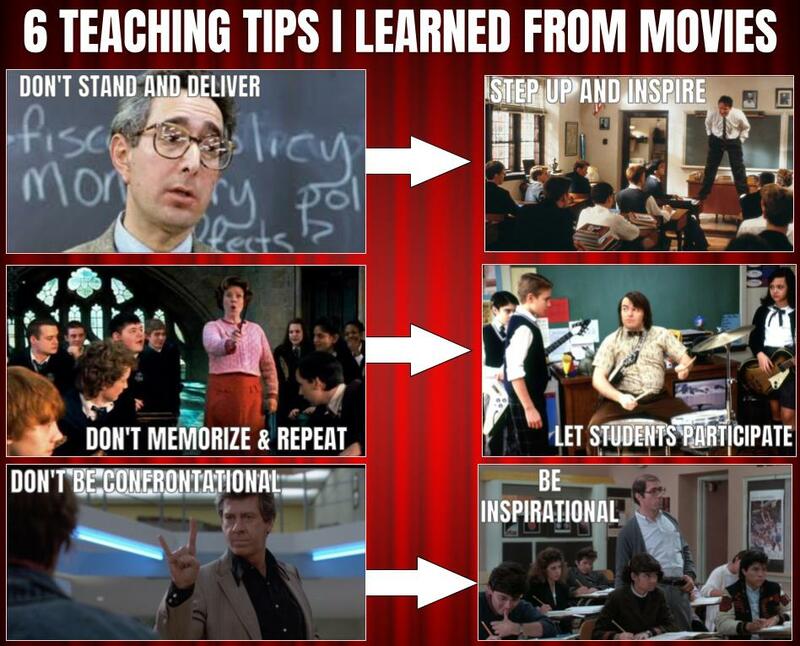 This list was inspired by some of those incredible moments when you see teachers either inspire you or make you cringe in movies. Here is the link to my tips. But what teachers movies taught you a lesson? 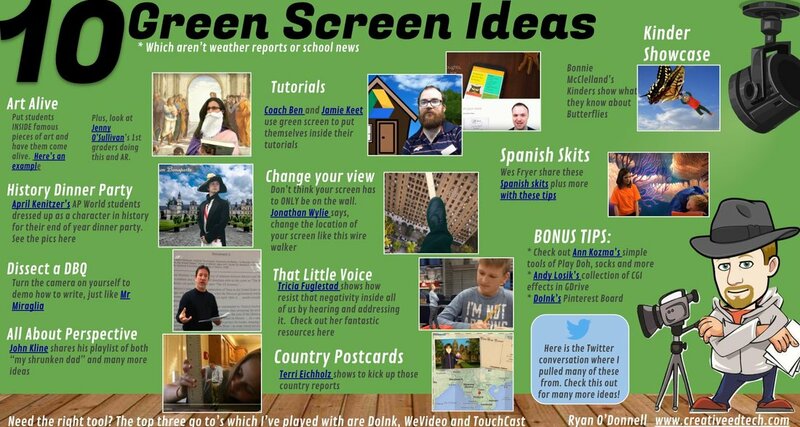 There are so many possibilities of lesson ideas with using a green screen . I first jumped into this idea about 10 years ago when I started put myself into my lectures for my AP History class (you can see one of them here). 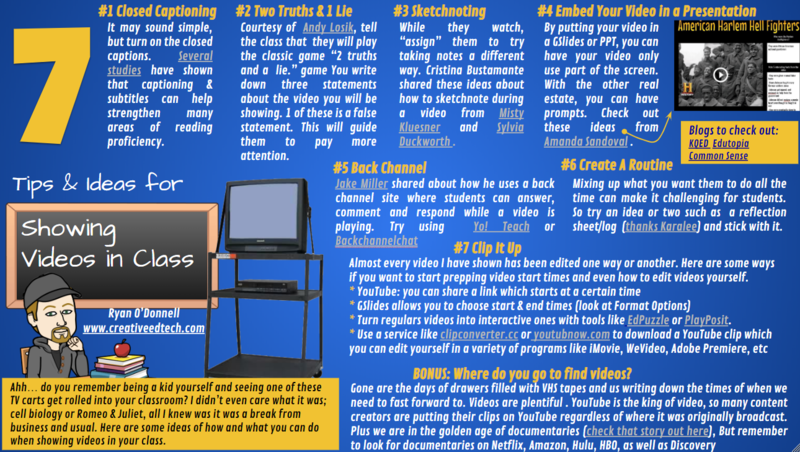 This began my journey of looking for non-traditional ideas for using green screen. I've compiled just some of them here in this listicle. 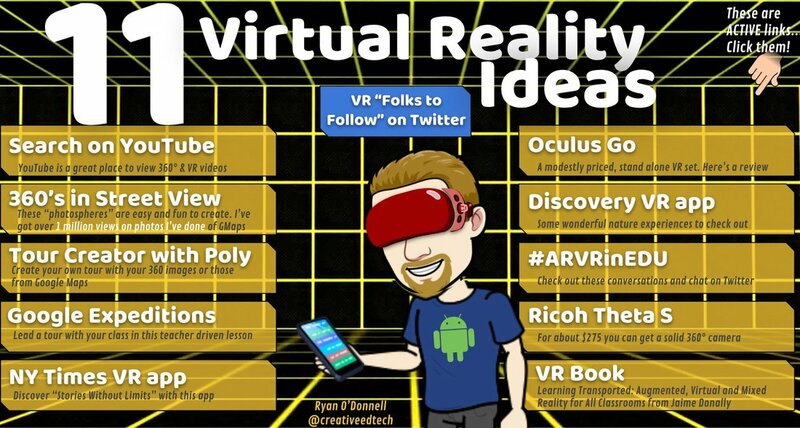 This is my list of cameras, apps, tools, books and more that I have used in my learning about VR in education. 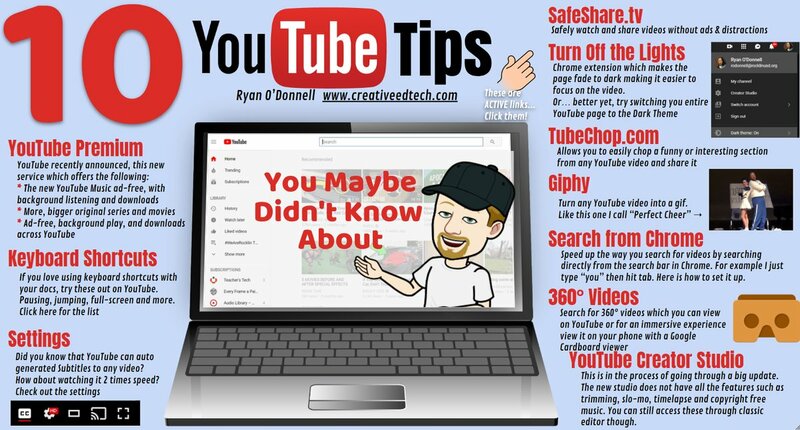 With 1.57 billion active monthly users, YouTube is an incredible resource. Just think about how it wasn't too long ago the only way to have a clip of something you wanted to use in class was to tape in on your VCR. Now YouTube is a source many of us go to everyday. I was a Clip Art junkie. 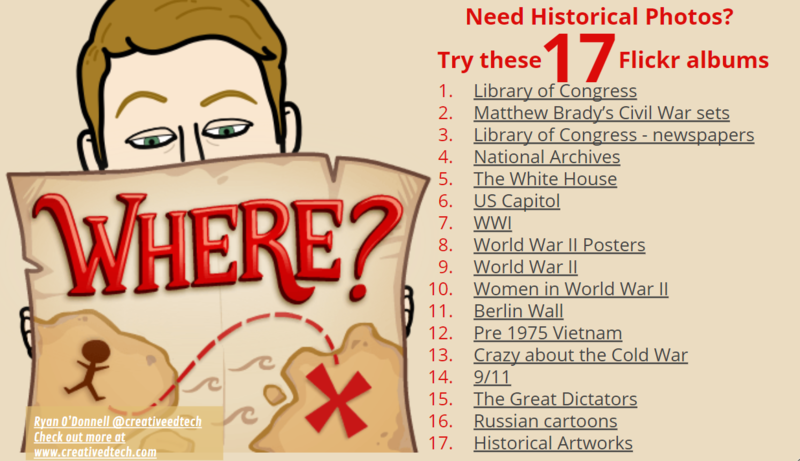 Yes, back in the day I loved me some clip art, but I've broken that habit and am sharing some of the places I go to to find the images I use. 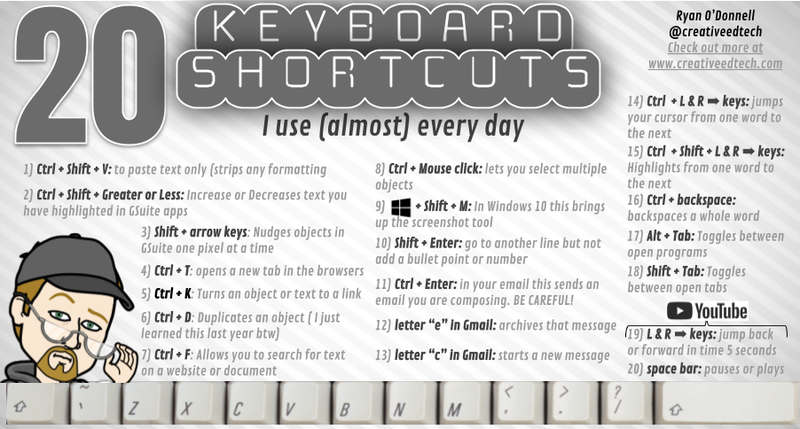 The more I can use shortcuts every day, the faster and more productive I can be. 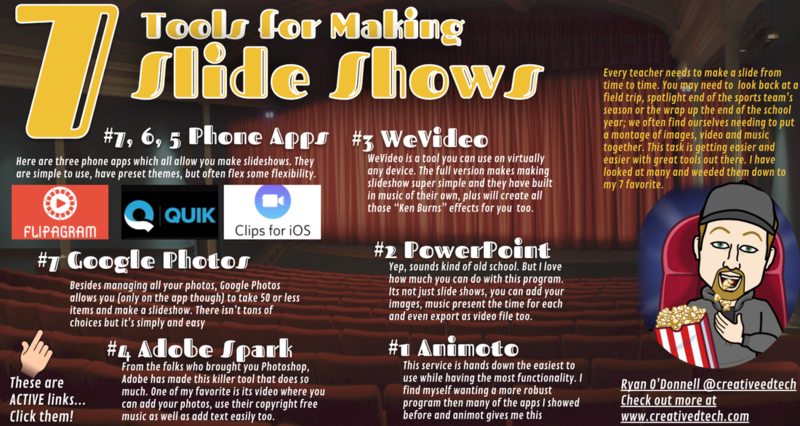 Every teacher needs to make a slide show from time to time. When you need some tunes and don't want to break any copyright law. 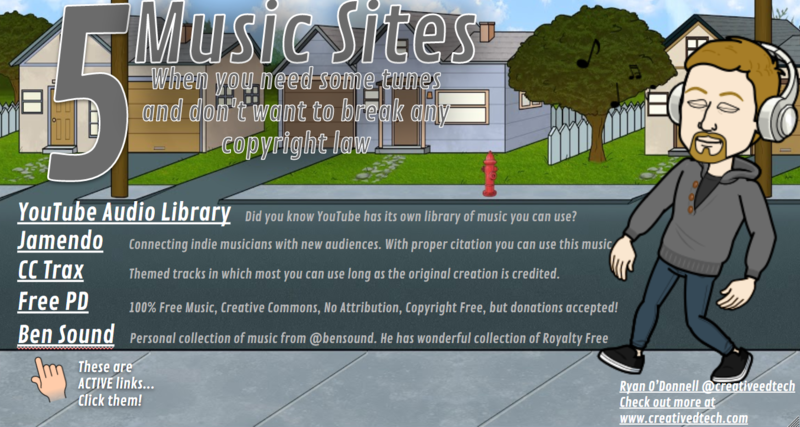 ​There are tons of places to find music online but trying to find music that is OK for use in video and other projects can be tough. 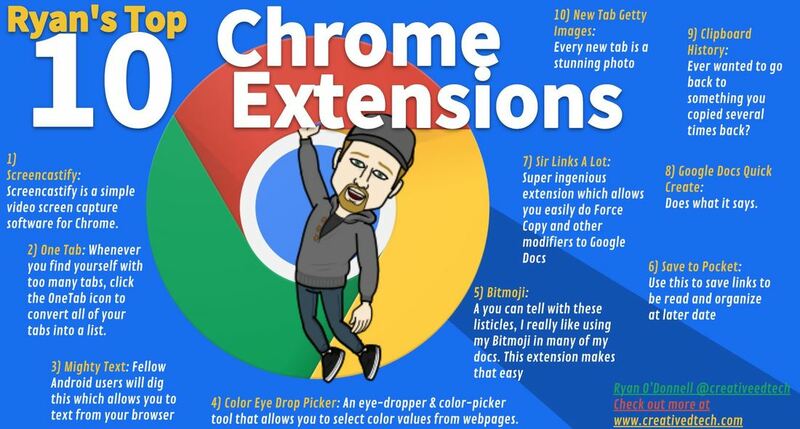 Try these links, and remember to give proper attribution.